Landlords will be expected to evict tenants who lose the right to live in England under new measures to clamp down on illegal immigration. They will be able to end tenancies, sometimes without a court order, when asylum requests fail, ministers say. Landlords will also be required to check a migrant's status in advance of agreeing a lease. Repeat offenders could face up to five years in prison. Some 10,000 currently continue to receive a taxpayer-funded allowance of £36 a week, despite their applications having been rejected, because they are living in the UK with their families. Communities Secretary Greg Clark said the government would crack down on "rogue landlords who make money out of illegal immigration". The proposals - to be included in the upcoming Immigration Bill - come as the British and French governments struggle to deal with a migrant crisis in Calais, where large numbers of people are making nightly bids to cross the Channel to reach the UK. 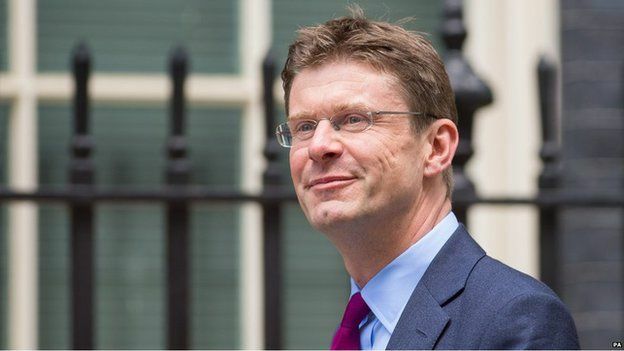 Greg Clark said landlords would have to meet their "basic responsibilities"
This will trigger a power for landlords to end the tenancy, without a court order in some circumstances. Landlords will also be required to carry out "right to rent" checks on each tenant's immigration status before allowing them to move in. Repeatedly failing to do either would be a new offence carrying maximum penalties of five years' imprisonment or a fine. 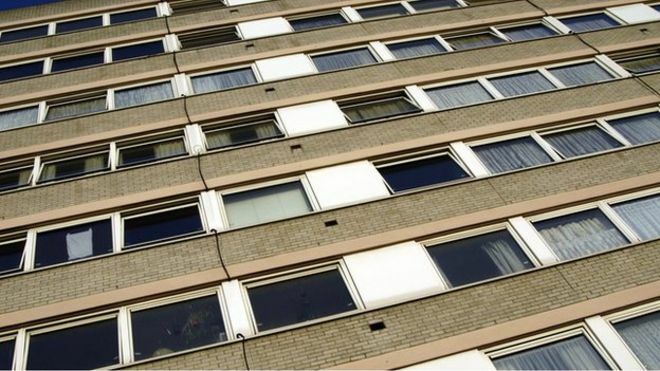 A blacklist of "rogue" landlords and letting agents will allow councils to keep track of those who have been convicted of housing offences and ban them from renting out properties if they are repeat offenders. Mr Clark acknowledged that cases in which tenants refused to move out would still end up in court but that the process would be quicker and less bureaucratic because landlords would have official "evidence" to present to the courts of their tenant's status. "You have saved the landlord having to spend money establishing something that is clear and that the Home Office can provide - which is a clear statement of whether they should be there or not," he told BBC Radio 4's Today programme. Asked whether evicting migrants simply increased the risk of people disappearing altogether, unless they were immediately picked up by the police, Mr Clark said the initiative was part of a "joined-up system to send people home". "That is exactly what the Home Office have the power to do in serving the notice confirming there is no longer the right to rent." The streets of the UK are not paved with gold. That's the clear message the government wants to send to those tempted to come to Britain illegally. Ministers say the tightening of the demands on private landlords in England is simply the enactment of a manifesto promise to make them carry out the same checks as employers and that migrants need to know there is no right to work or rent a home if you are in the UK illegally. It's not clear yet how the scheme will work or what impact it will have other than moving illegal immigrants from where they are living. And some may suspect the timing of the announcement is a response to the nightly television news pictures showing scores of desperate migrants trying to cross the channel - and to criticism from some that ministers have failed to get a grip on the situation swiftly enough. For Labour, shadow immigration minister David Hanson said he backed tougher checks but said ministers appeared to be "offloading" the problem on to landlords and it was up to the authorities to decide whether people should be allowed to remain or deported. Since August 2014, private landlords in the west Midlands have been required to conduct checks to establish that new tenants have the right to rent in the UK. Those failing to do so face a penalty of up to £3,000. Mr Clark said the pilot - introduced as part of the 2014 Immigration Act - had been a success and would be extended across more of the UK, although he could not say how many people had been deported as a direct result. Richard Lambert, chief executive of the National Landlords Association, said the proposals were a "welcome step forward". He told the Today programme: "I am slightly concerned that we are breaking the 40-year-old principle that it has to be a court that ends a tenancy... but we do need something that will work in practice." He told the programme the possible five year prison penalty was "quite surprising" and had come "almost out of the blue" and he raised concerns about those being evicted "doing very desperate things" such as barricading themselves inside a property.